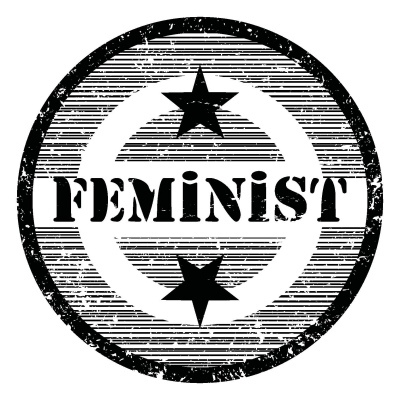 Home FAQ Blog How can a Christian be a Feminist? How can a Christian be a Feminist? There are many distortions of what feminism means in the current culture. Feminists are proponents of women as whole people, who are capable of defining themselves and doing what they love. Since women are people of equal worth, feminists demand equal pay, equal voice, and equal rights. That sounds like something we could all easily assent to; however, it obviously strikes a chord of resistance in many people. For example, the Equal Rights Amendment (ERA), which simply stated that women will have equal legal rights under the law, was never ratified. Some parties managed to get people all worked up over unisex bathrooms and other things of that ilk, creating a lot of fear, and thus prevented ratification. Many of the distortions of feminism are taught as a means of keeping women in roles well-defined by men. This has much to do with politics and power and, unfortunately, often seems quite evident within certain forms of Christianity. While the real aim of feminism is the quest for the dignity of all people, prevalent distortions include the presentations that feminists hate stay-at-home mothers, feminists hate men, feminists hate the Bible, and that all feminists are lesbians. These distortions are designed to inflame people’s fear that traditional ways will disappear and society will be plunged into chaos, or that the Bible will no longer be respected. Of course none of the distortions are true. Some feminists stay at home with their children and some don’t; some do both at different times. The feminist goal is that women have the right to determine what is best for their own lives and that options are available and respected. Most feminists enjoy men (especially enlightened men). Having themselves been part of a group that has suffered discrimination and oppression, feminists are sensitive to doing that to another group of people. As far as sexual orientation, feminists fall all along the spectrum of human sexual desire; once again, the goal is that people be allowed to discover authentically who they are, and live without discrimination. There are feminists all along the faith spectrum, too, from atheist to “spiritual” to Christian and other faith traditions. Some feminists may not honor the Bible in the way we do as Christian feminists, which is why we use the two words together to show that we are a particular category of feminists. Some feminists may judge the two-thousand year old documents of Christianity by modern standards, and reject the obvious male-centered civilization from which they came, which is reflected in the writings. Other feminists look at our scriptures simply as the records of a people’s faith journey with the Divine, one that tells eternal truths about the way humans experience God and how God has communicated with humanity. There is nothing antithetical to the Christian faith in the insights and goals of feminism. Rev. Rebecca Kiser serves as a pastor in the Presbyterian Church, USA. She describes her faith life as “… like one of those funnel gadgets, being raised in the extremely narrow end of fundamentalism, then moving into the gradually widening scope of the evangelical, through orthodox Reformed theology, and now probably more progressive." Dr. Anne Linstatter is a professor and founding member of EEWC-CFT. She teaches on women and religion at California State University, Northridge. She describes herself as a writer, mother, (somewhat) radical feminist, and born-again Christian. She collected and edited personal stories for her book, "Abortion—My Choice, God’s Grace: Christian Women Tell Their Stories." Her commentaries appear on Women’s eNews and Christian Feminism Today, as well as on her blog Martha y Maria: Women’s Lives, Women’s Rights. 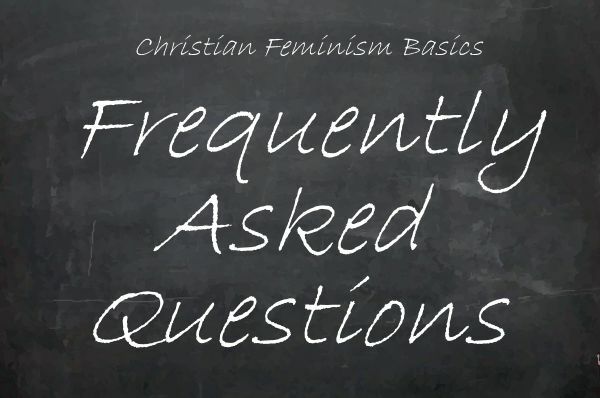 The Christian Feminism Today Frequently Asked Questions blog was created as a means of answering questions posed by website visitors (and members) about feminism, Christianity, Christian Feminism, and our organization. Rev. 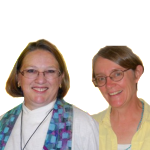 Dr. Rebecca Kiser and Dr. Anne Eggebroten are the primary providers of answers, while occasionally other members lend their expertise as well. Post archive page is here. Where can I find music and hymns that use inclusive language? Hymns, anthems, and other songs that don’t jolt women out of their seats are available and becoming more widely used. “I will make you fishers of men” is so last-century. Because of the Angels? Can Someone Explain First Corinthians 11:10-15? What does it mean to be a Christian feminist? Let our speakers bring the inclusive message of Christian feminism to you. Check out our available speakers and presentations here.